When it comes to packing for a holiday, there are a hundred ways to organise clothes, cosmetics and your techy cables. Jewellery, on the other hand, gets sidelined. Travellers either throw on necklaces and rings in a small pouch (and risk having them all tangled up) or simply avoid wearing any valuable pieces altogether. 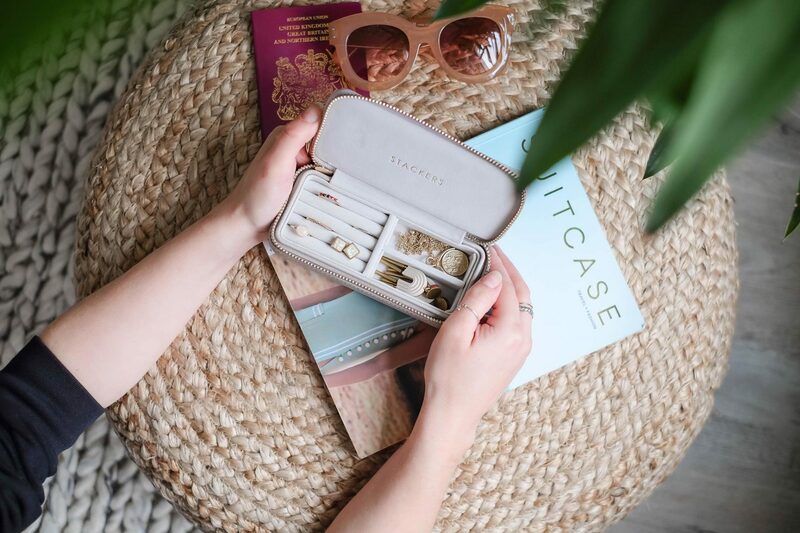 Well, there’s no need to resort to lugging around heavy jewellery boxes in your carry-on bag, not with these travel-friendly solutions we’ve picked out. These convenient cases are great for keeping your accessories secure and safe. The best part? You won’t always have to use it for travel. In fact, you could take these with you anywhere for a quick change of jewellery on the go. US-based jeweller Mejuri is fond of minimalist pieces — thin ring bands, hoop earrings, small pendants and the like in precious metals and small diamonds. They’re certainly not pieces you’ll want to have to rummage through your luggage for. Mejuri’s solution is an elegant one. 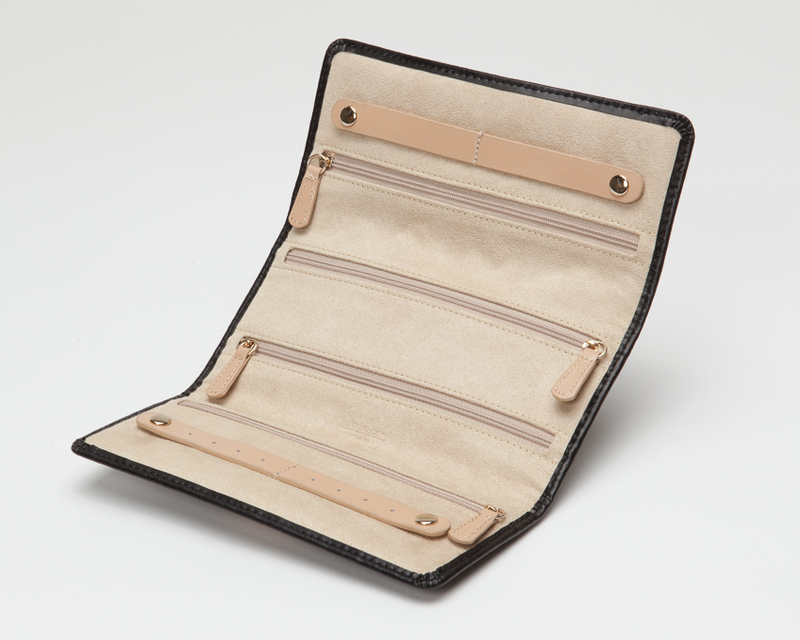 This travel case, made in leather and suede, is small enough to fit in a handbag or in the pocket. 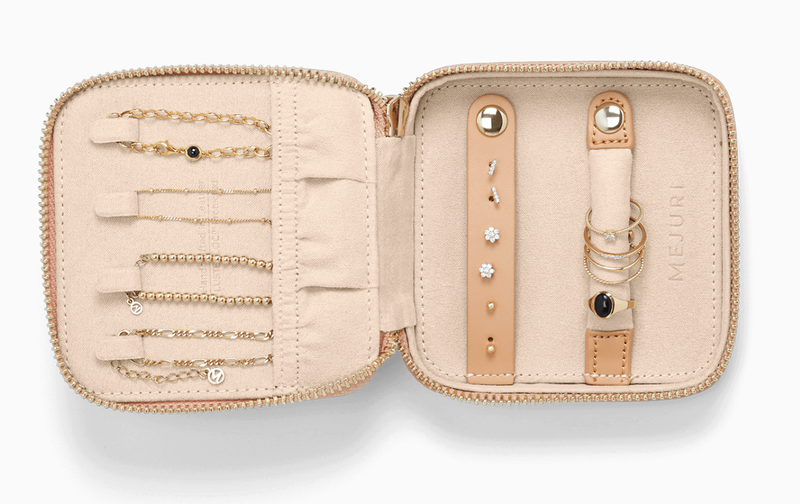 Each case comes with four necklace hooks and a pocket to stash pendants (or to keep chains from getting tangled in a bundle). There are also straps for three pairs of earrings and rings. 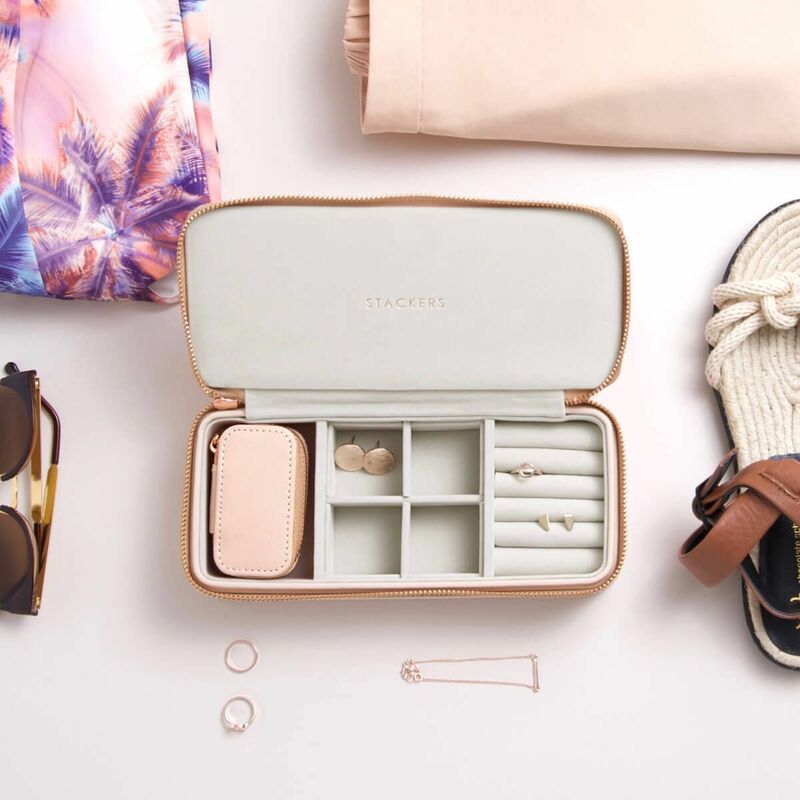 This popular travel case has compartments for bigger accessories like statement rings and earrings that might not fit into velvet-padded ring holders. What we like is the additional removable box inside for smaller rings and ear studs. Smaller sizes of this case are also available. While this German workshop has some intricate boxes for jewellery and watches in various leathers, there are other more flexible solutions for travelling. This roll-up may be a little small but it’s good for packing all sorts of accessories. 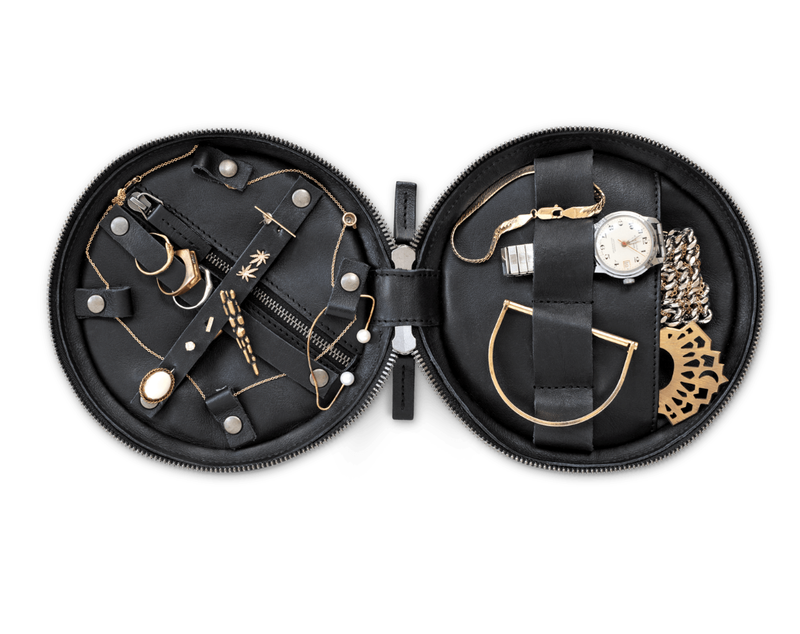 It has four different storage compartments, two ring holders and another strap for four pairs of earrings. The case is lined with a patented material that absorbs chemicals that could cause tarnishing. Rest assured, you’ll still have nicely polished pieces when you travel. 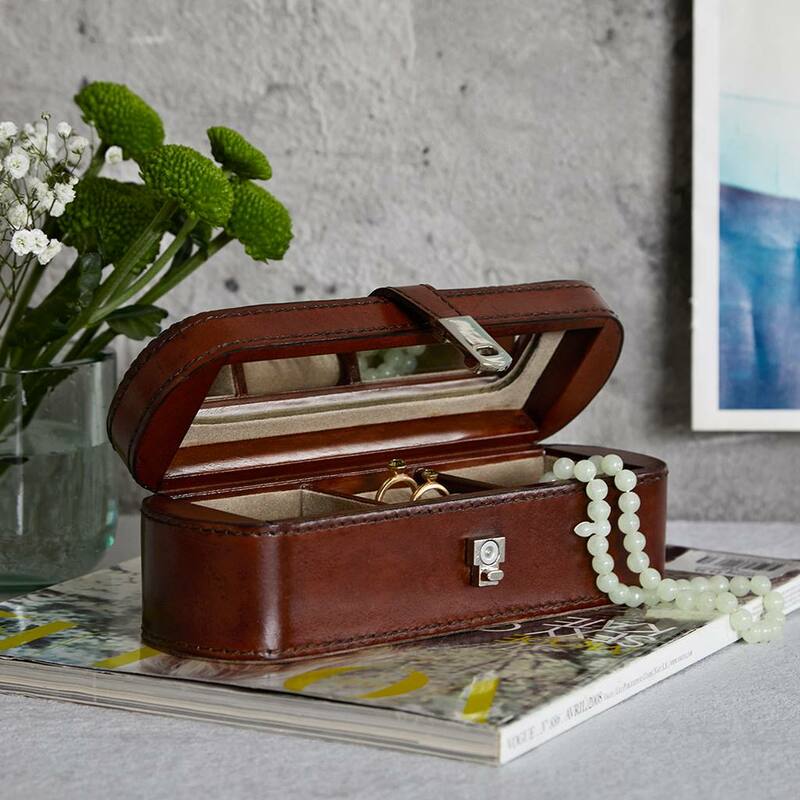 This smart-looking leather jewellery box comes with two compartments and a padded section for rings and earrings in the middle. What’s great about this is the mirror on the lid for a quick style check. Personalisation services are also available with the boxes. US-based designer This is Ground believes in blending craftsmanship with futuristic design and that’s what we get with the Sitting Pretty Case. Inside, the circular pouch offers many flexible solutions for storing jewellery. Little clips around the corners allow for keeping in place rings or a necklace chain. Pouches are great for stowing away bracelets or watches as well. A smaller version is available too. Well, if you’re lugging around precious diamonds and high jewellery pieces, then this travel case is the perfect solution for you. 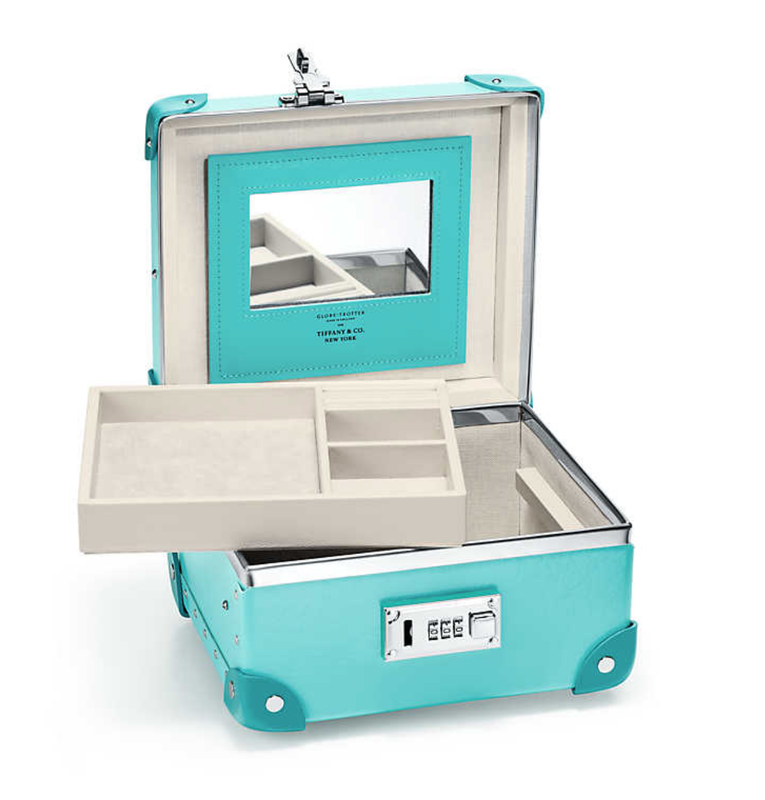 This jewellery case is shaped like a piece of luggage, with detachable mirror and jewellery tray, and even comes with its own combination lock for some sense of security. Just remember to buy some travel insurance before you head off with this box.